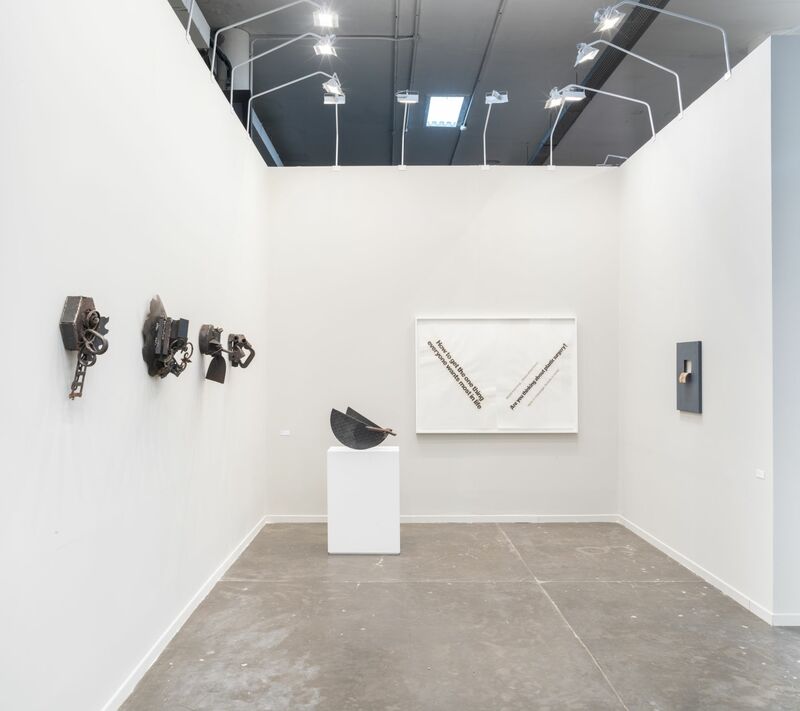 Alexander Gray Associates presented an exhibition of work by seven Gallery artists, featuring recent and historical paintings, sculptures, and works on paper by Melvin Edwards, Frank Bowling, Ricardo Brey, Luis Camnitzer, Harmony Hammond, Lorraine O’Grady, and Valeska Soares. 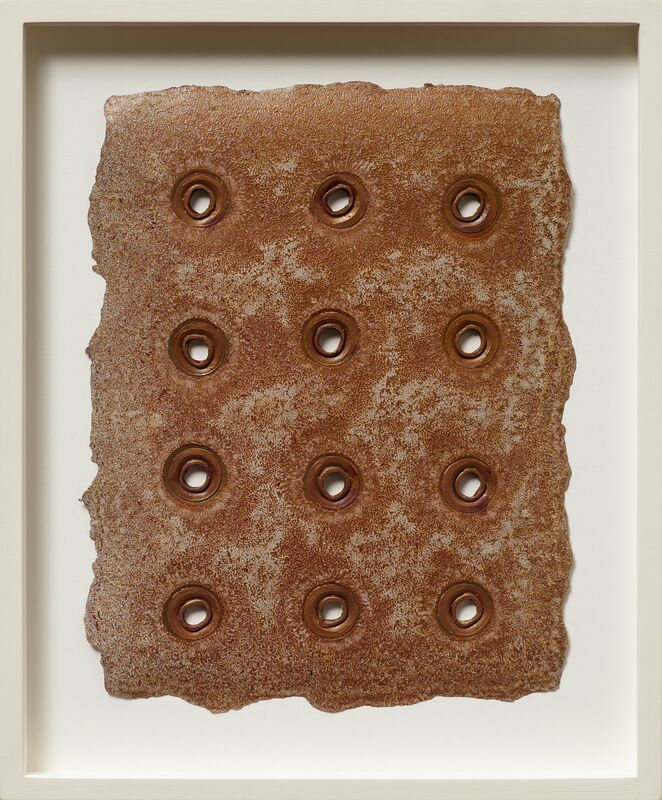 Melvin Edwards is a pioneer in the history of contemporary African American art. 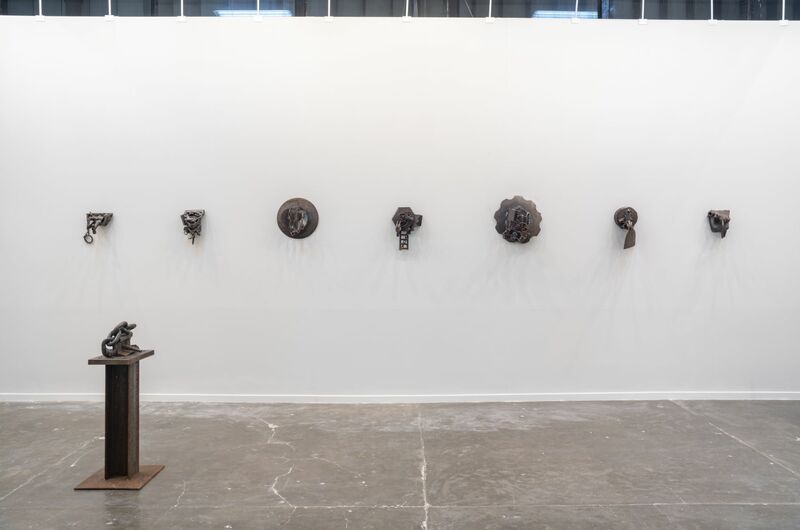 For more than five decades, he has created sculptures from agricultural implements, scrap metal, and tools that engage with the history of race, labor, and violence, as well as with themes of the African Diaspora. 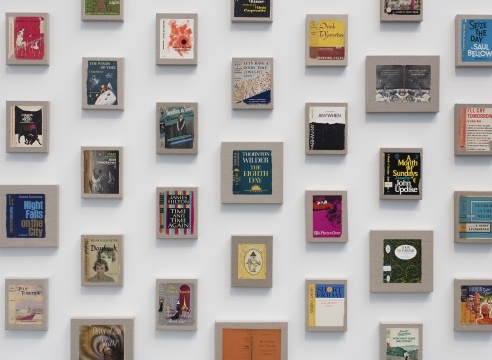 The majority of works in the Gallery’s presentation were made this year in São Paulo—the first pieces the artist has ever produced in Brazil. 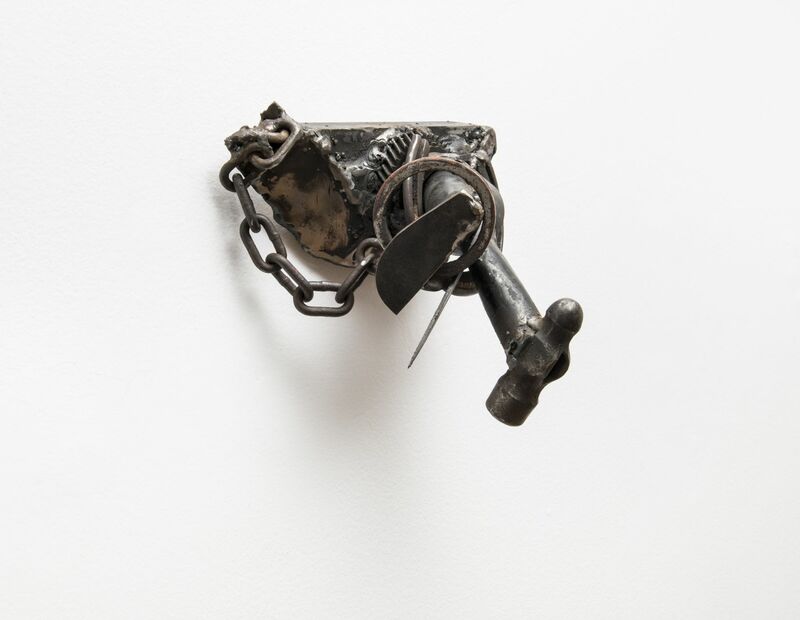 In these works, Edwards capitalizes on the potential of locally sourced materials to evoke divergent narratives of oppression and creativity while simultaneously referencing African cultures and their development in Brazil. 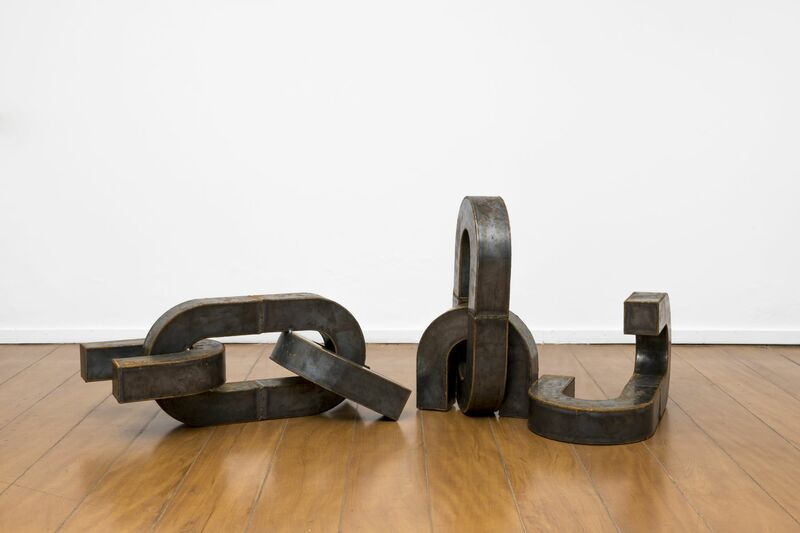 In Música das Correntes Partidas (Song of the Broken Chains) (Modelo para Monumento | Model for Monument) (2019), Edwards presents a trio of shattered chain scattered on the ground. As symbols of liberation, the broken links invite readings of past subjugation and freedom. 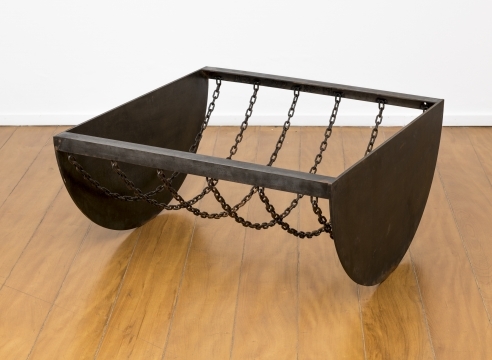 At the same time, the artist insists that such interpretations are reductive; for him, chains are also visual manifestations of kinship—the connection between individuals. As a result, Música das Correntes Partidas speaks to both emancipation and loss. With nuanced works like this, the Gallery’s diverse Edwards display celebrates the artist’s extraordinary range as a sculptor. 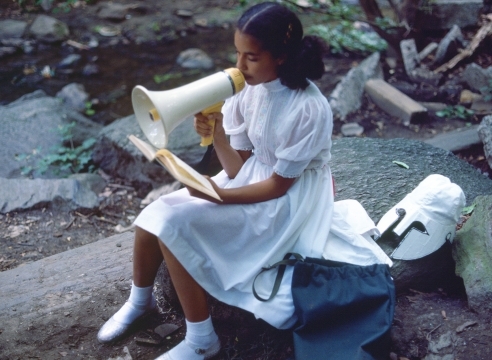 Communicating complex historical and cultural concerns, Edwards’ work has added resonance in our present global sociopolitical moment. For over five decades, Frank Bowling’s painting practice has been defined by its integration of autobiography and postcolonial geopolitics into abstraction. Featuring silhouettes of continents, If not now when? - 2017 False Start - 2013 (2007—2017) directly references Bowling's groundbreaking series of Map Paintings (1967—71). Layering these shapes under pools of acrylic, Bowling experiments with diverse ways to create a painted surface while constructing a political cartography centered on social and artistic identity. 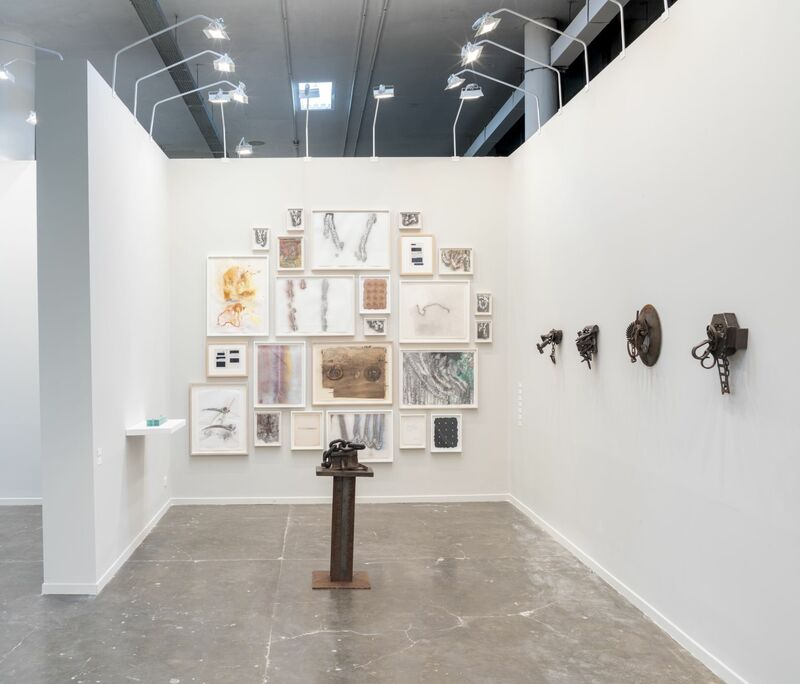 Since the late 1970s, Ricardo Brey’s multidisciplinary practice has focused on his research into the origins of humanity and humankind’s place in the world. 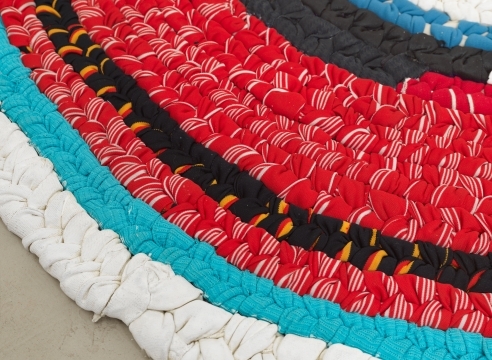 In stark contrast to his homeland of Cuba, where objects are recycled and repurposed to meet the dire demands of survival, upon emigrating to Belgium in 1990, Brey found an abundance of discarded materials to incorporate into his work. 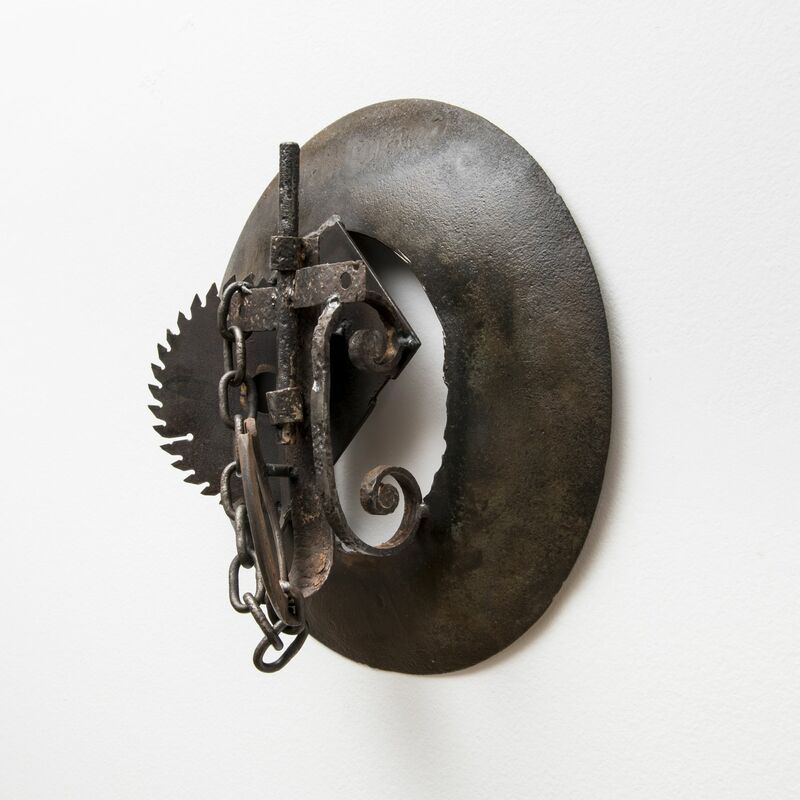 His belief that objects have individual identities and souls––a reflection of his Afro-Cuban spiritual heritage and upbringing––informs his conclusion that the life of an object can be renewed through its proximity to art. 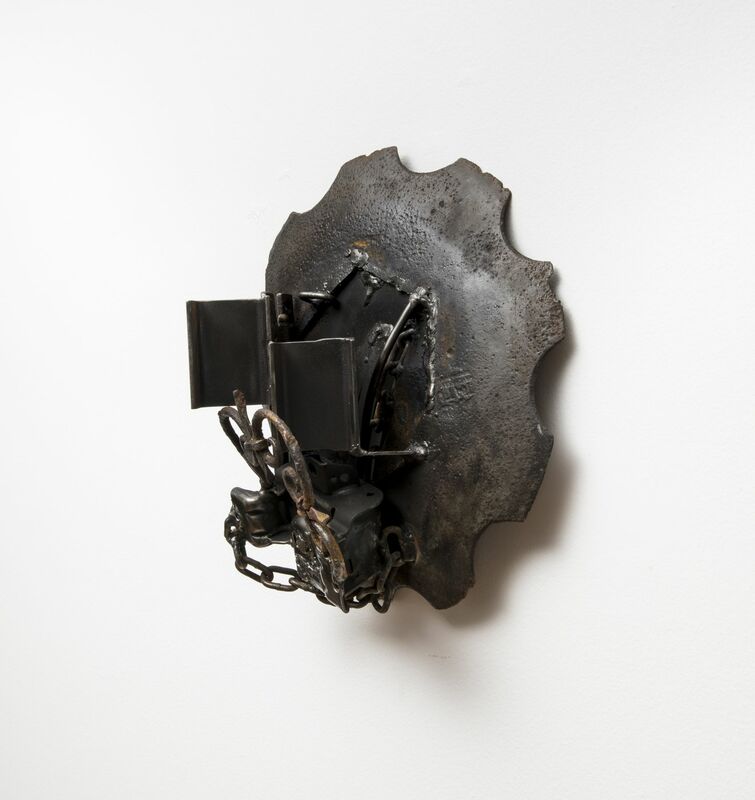 Reflective of the artist’s decades-long engagement with assemblage, in recent works like Inferno (2017), Polen (2016), and I am not what happened to me (2016) Brey appropriates found objects and considers the decay of the natural world as well as humanity’s role in its destruction. Luis Camnitzer’s historic 1960s–1970s works employ a politically-charged use of language, often utilizing humor to explore themes of social injustice, repression, and institutional critique. 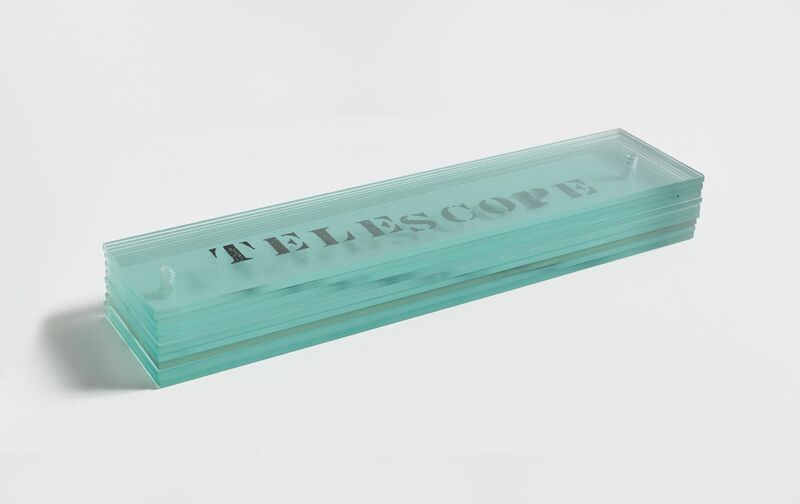 Working at the height of Conceptualism, Camnitzer produced a series of “object-boxes” that placed ordinary items within wood-framed glass boxes with text printed on brass plaques, meant to present the viewer with an ambiguous relationship between image and text. 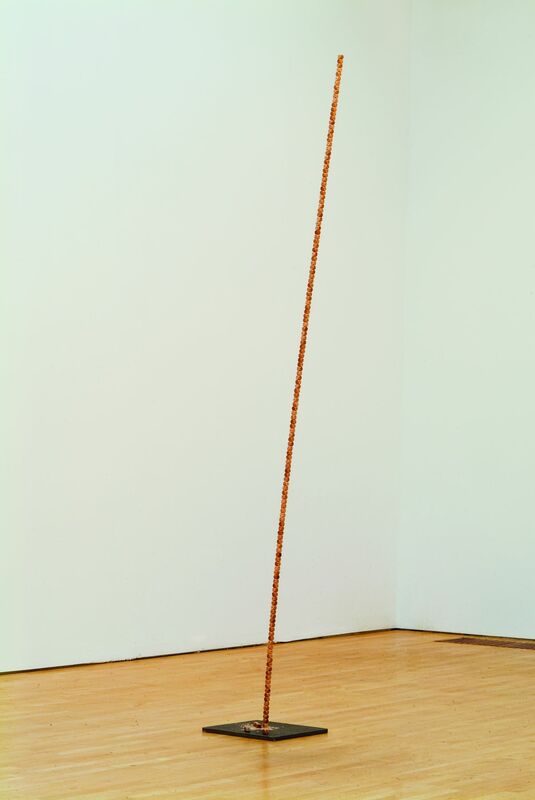 In the object box entitled Transmutation from Paint into Aluminum (1976), for example, Camnitzer destabilizes the function of a material––in this case aluminum––through its form as a brushstroke. 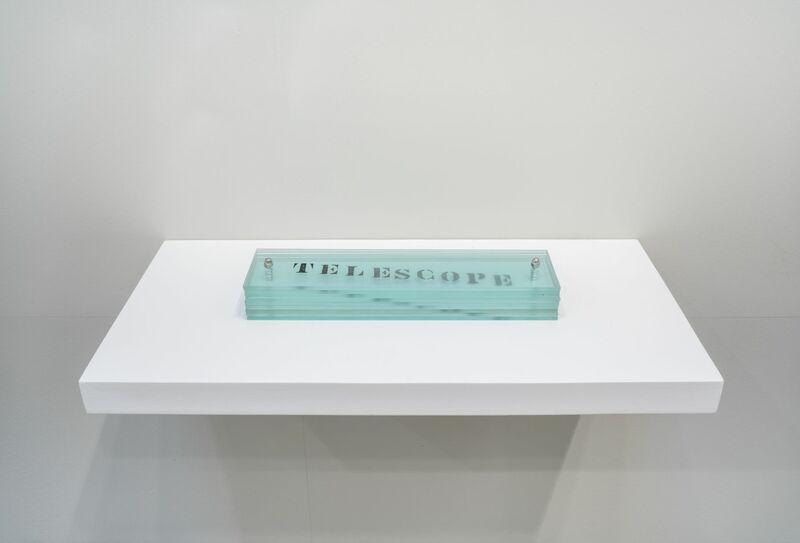 Similarly, in the sculpture Telescope (1967/1990), Camnitzer explores written language and its ability to generate meaning beyond the physical object. 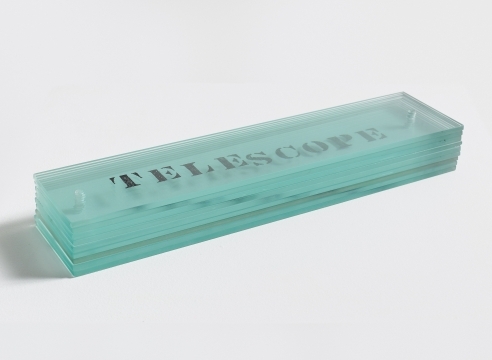 Unlike an actual telescope that enhances the view of faraway cosmic bodies, in Camnitzer’s sculpture, glass layers contribute to the written word’s gradient opacity. 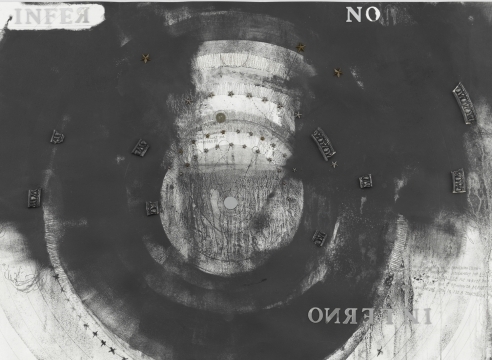 Through the positioning of the lettering of the work, Camnitzer gives the engraved letters physicality, transforming the written word into a visual illustration of volume and shape. Lorraine O’Grady’s practice spans a variety of mediums and seeks to confront the limitations of a culture built on exclusivity and resistance to difference. 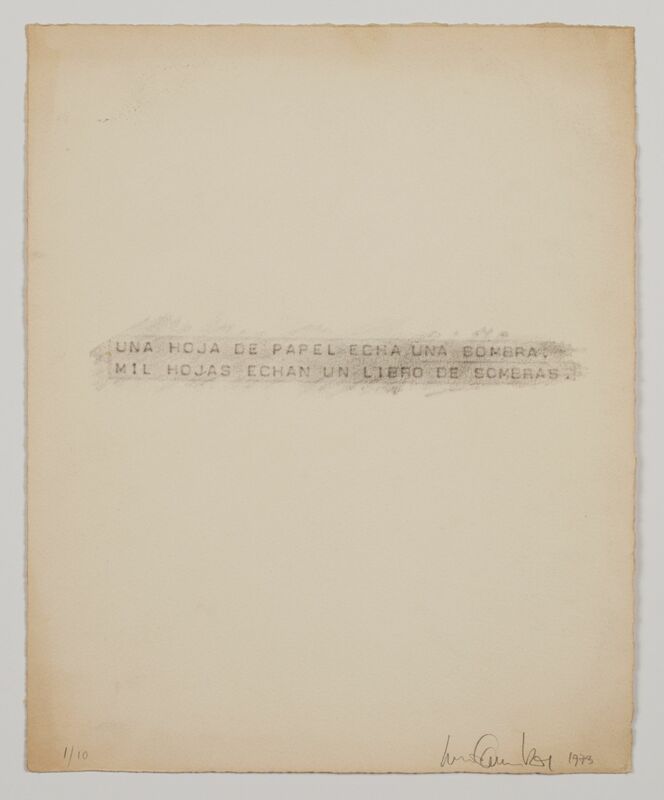 Cutting Out CONYT (1977/2017) returns to the artist’s 1977 series, Cutting Out The New York Times (CONYT), culling the original found newspaper poems and reshaping the remains into 26 new works that adopt a form the artist refers to as “haiku diptychs.” Produced following a similarly rigorous set of rules as those that dictated CONYT, Cutting Out CONYT isolates and rearranges panels from the 1977 work without altering them in any way. 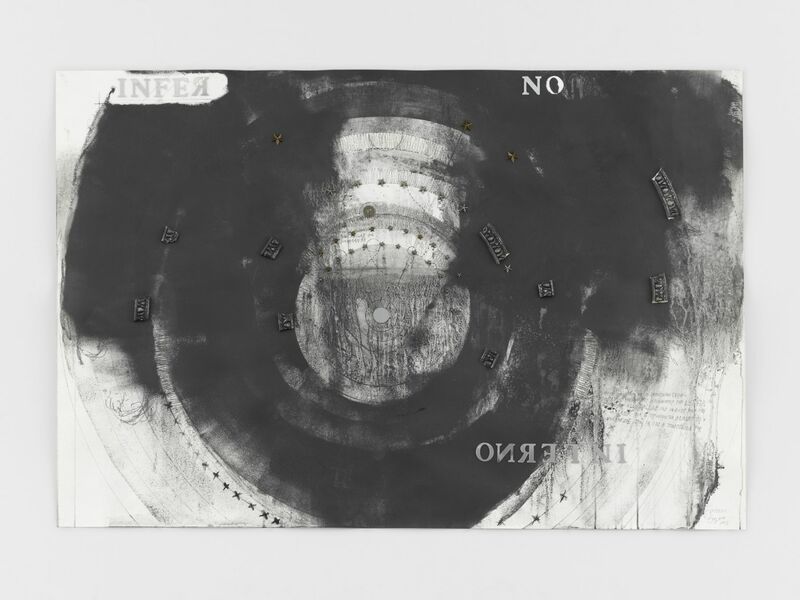 Newly combined, the resulting compositions are eloquent in their brevity while their printed, collaged forms evoke the materiality of the original series. 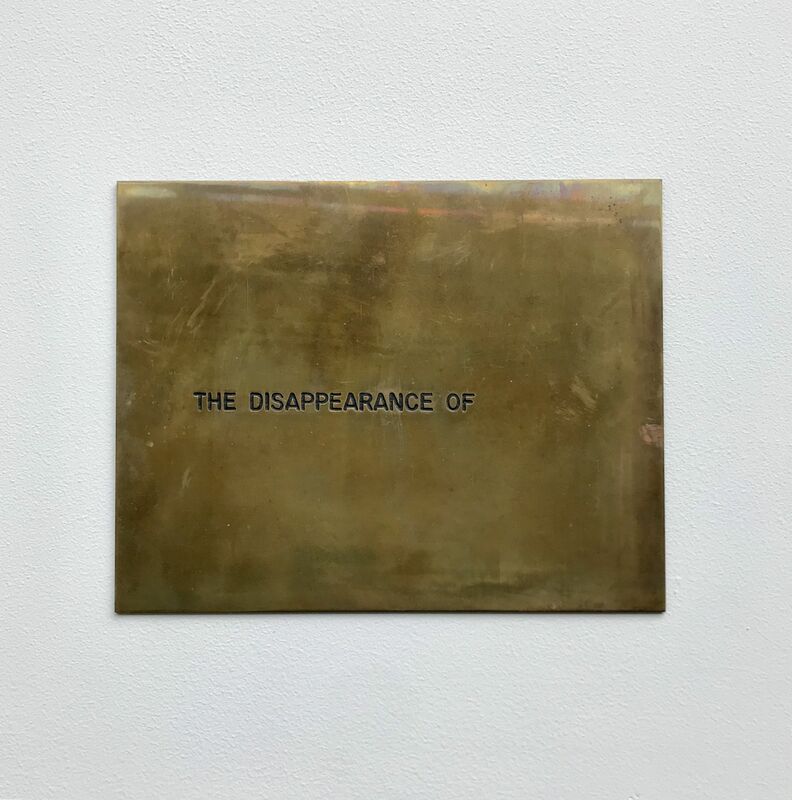 Utilizing tools of minimalism and conceptualism, Valeska Soares’ practice embraces emotion and humanity, mining territories of love, loss, and memory. In Doubleface (Gris de Payne) (2017), part of an ongoing series, she creates a modernist monochrome from an antique portrait. 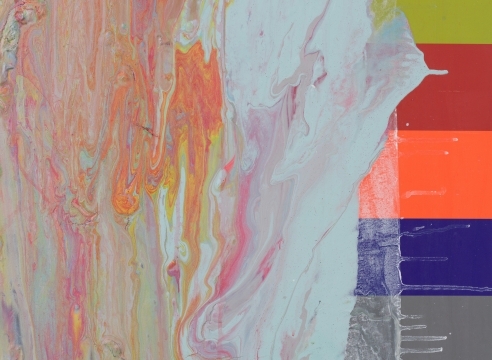 Disrupting the solid plane of color by cutting and folding into the canvas, Soares reveals a small portion of the original portrait. 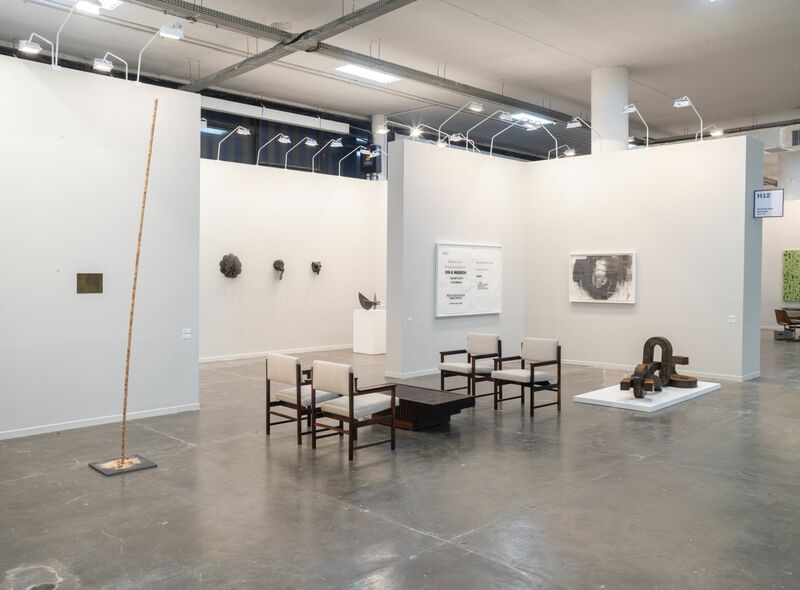 SP-Arte – São Paulo International Art Festival – constitutes a dynamic platform for a cultural and artistic exchange between curators, collectors, artists, galleries, works and admirers of art. As such, it stands as the translator of the current, the new and of the already established production, in addition to promoting the professionalization of Brazil’s creative market. 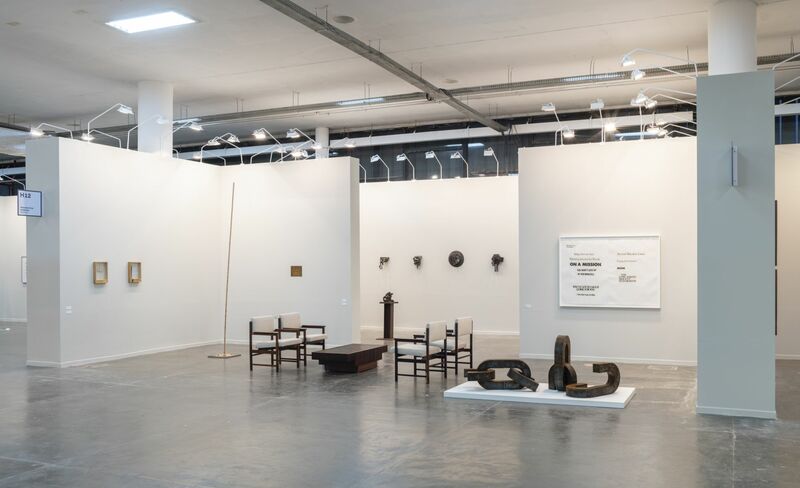 During the event, modern and contemporary art are the center of attention of debates and creations scattered throughout the city of São Paulo.